Directions: For adults, take two (2) caplets before or after meals. ; Lipase 8 USP units/mg). Other Ingredients: Vegetable Cellulose, Croscormellose soduim, Vegetable Stearic Acid, Silica, Coating (Hypromellose, Glycerin, Peppermint Oil). Contains <2% of: Vegetable Magnesium Stearate. Contains Tree nut (Coconut). Maximum Strength Multi Enzyme is rated 4.6 out of 5 by 27. Rated 5 out of 5 by Ana from Perfect for my digestive system! My digestive system is really good after using Digest-13. Rated 5 out of 5 by gracie from very good product this really helps with the digestion of fats. Rated 5 out of 5 by Sandi20 from Works well for me! I have been using the Vitamin World Zygest 13 for the past few years and it really has helped my digestive issues. I have not been able to purchase it online or in the store anymore and have tried other enzymes with not the best results. 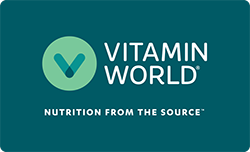 So hopefully Vitamin World will be able to continue this product. Missing my Zygest 13! Rated 5 out of 5 by DZ from I have a history of serious pancreatic issues. This product does help me with digestion issues. A+++ Excellent Product and Price. Rated 5 out of 5 by Catlady from great product I've been using this for years and it sure helps with digestion. Rated 5 out of 5 by DylanDarwin from Nothing compares I live in Australia and order this religiously or pick them up when in the US. It's great, and helps me not feel bloated or sick every time I eat. I fully recommend this product and only wish they had an Australian outlet for me.